At Montes Marble & Granite showroom in Plaistow, an abundant selection of material is available to you. Compare different looks, styles, colors, and textures of granite, marble, quartz, limestone, travertine, and soapstone. With our large selection of different stones, we are certain you will find the look your kitchen, bathroom, and or project needs. Below is some useful information to help you know your stone and assist with your selection. Granite is formed deep in the earth, where magma slowly cools and forms tiny crystals of iron, magnesium, titanium, calcium, quartz and minerals. While new rocks and minerals are constantly forming, most granite available today was formed hundreds of millions of years ago. Granite is one of the most popular materials available for residential and commercial stonework. With proper care, it’s beauty can last a lifetime. Granite is known for its hardness and beauty. 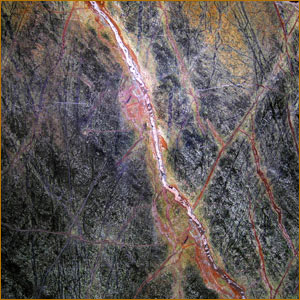 Its mineral-rich colors, patterns and density make it ideal for flooring, countertops, vanities and exterior applications. Marble has been a favorite material in art, architecture and construction for thousands of years. 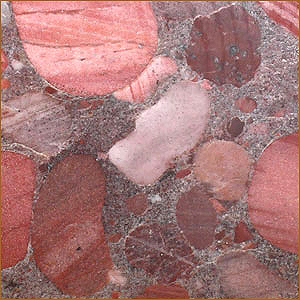 The rich metamorphic rock is formed when limestone deep in the earth is subjected to extreme temperatures and pressures, forming an interlocking mosaic of mineral crystals. The texture of marble depends on the size, form and uniformity of the crystal “grains” while the integration of various chemicals and other materials can give the stone different colors. Marble is softer (more porous) than granite, but is another natural stone that makes a popular countertop and floor tile choice. Limestone is a sedimentary rock, formed at the bottom of ancient oceans. 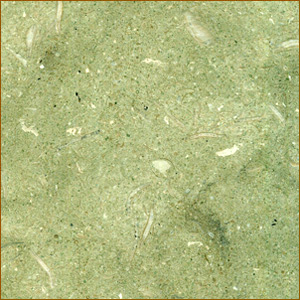 Often fossils of marine life, shells and other organic materials can be found in limestone, giving them a unique appeal for decorative uses. Limestone is commonly used in architecture and construction, often being honed and polished for bathrooms, fireplaces, counters and decorative flooring. 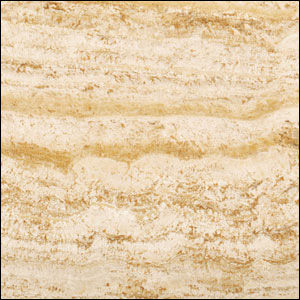 Travertine is a banded, compacted stone similar to limestone. This ornate sedimentary stone has been used in architecture and building for thousands of years, including the construction of the Colosseum in Rome. The stone is typically porous, and is often “filled” with a form of cement before being honed and polished. In household construction, it is most commonly used as paving for patios and walkways, interior floors, countertops, fireplaces and walls. This smooth metamorphic rock is often used as decorative building material as well as being very popular for carving and artistic uses. This stone was widely used for counters and tabletops in early American homes, as it was widely available and relatively easy to cut and shape. 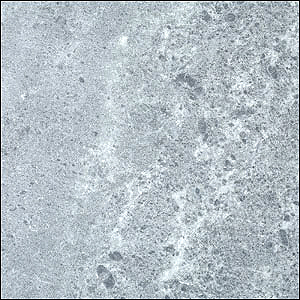 Soapstone is used for decorative features and installations, including sinks and countertops. It is a fairly soft stone, meaning it can be dented and worn more easily than harder stones. Unlike granite and marble, soapstone does not react to acidic or alkali substances so there is less concern with staining or etching. Manufactured/engineered stone (often referred to as quartz) has a non-porous surface, consisting of natural quartz and an acrylic and/or polymer resin. These surfaces are known to be stain-resistant, easy to maintain and generally heat-resistant (although we never recommend anyone to place high heat items on/near any surface). Please refer to guidance from the Marble Institute to care for the kitchen countertops, bathroom vanities or fireplace features in your home by using the links below.